If you're thinking about outsourcing your IT, please read this first. Our FREE buyer's guide is worth a look. Choose the perfect MSP for your business. Outsourcing your business-critical IT systems is a big decision. You need confidence and trust in your provider. 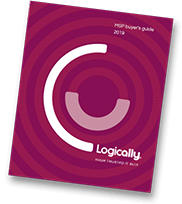 Our new Buyer’s Guide can help you to find the perfect MSP match for your business and IT needs. Get your FREE Buyer’s Guide today by filling out the form to the right. You’ll be glad you did! Learn how MSPs help ensure business continuity, keep your employees productive, and improve customer service and profitability. Learn how MSPs deliver full outsourcing or IT augmentation depending on needs. Learn about the full range of services MSPs provide including monitoring, security, backups, helpdesk, incident remediation and more. Identify the key benchmarks to measure the fitness of your managed service provider. Ready to leverage technology to achieve your goals and take the pain out if iT?